European Commission › EURAXESS › Jobs & Funding › 1 Early stage researcher (PhD candidate) in Bioinformatics in the frame of the BioMedaqu project. 1 Early stage researcher (PhD candidate) in Bioinformatics in the frame of the BioMedaqu project. 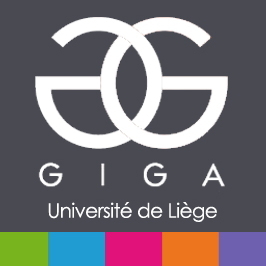 BioMedaqu project: Aquaculture meets Biomedicine: Innovation in Skeletal Health research (http://www.giga.uliege.be/biomedaqu). BioMedaqu is a Marie Sklodowska-Curie Innovative Training Network (MCSA-ITN) with the primary research aim to create an innovative expertise combining research in skeletal biology of aquaculture fish species with that in biomedical models and humans. In total, 15 Early Stage Researchers (ESRs) will be appointed by the BioMedaquconsortium for 36 months each. It aims to bring together the expertise and research approaches from the aquaculture field and the biomedical sector using model fish species. Specifically, the Montefiore Institute (http://www.montefiore.uliege.be) at the University of Liège, Belgium has an opening for a PhD candidate to work on the development of novel deep/machine learning algorithms for quantitative multimodal bioimage analysis. More specifically, this PhD project entails the development of novel algorithms to automatically locate, measure, and classify elements in multimodal biomedical images with a specific focus on skeletal development applications. These algorithms will be disseminated to a wide audience through the open-source Cytomine web-based softwareplatform (http://uliege.cytomine.org). The ideal candidate should have a Master in Computer Science orBiomedical Engineering, with a taste for deep/machine learning and modern software programming. The candidate will be supervised by senior scientific staff with a background in computer science (Prof. Wehenkel, Prof. Geurts, Dr. Raphaël Marée) in collaboration with biomedical researchers (Dr. Marc Muller) and other project partners. There are strict eligibility requirements for the ESR PhD positions in MSCA-ITN. Please ensure that you qualify before applying, as ineligible candidates cannot be considered. Requirement 1 (early-stage researchers):Applicants must, at the date of recruitment by BioMedAqu, be in the first four years (full-time equivalent research experience measured from the date when the researcher obtained the degree entitling him/her to embark on a doctorate) of their research careers and have not been awarded a doctoral degree. Requirement 2 (mobility rule):Applicants must not have resided or carried out their main activity (work, studies, etc.) in the country of the recruiting institution for more than 12 months in the 3 years immediately before the recruitment date. Compulsory national service, short stays such as holidays, and time spent as part of a procedure for obtaining refugee status under the Geneva Convention are not taken into account. Requirement 3 (specialisation): Candidates should have a master level degree or equivalent in Computer Science or Biomedical Engineering. The selection process is carried out according to the principles stated in the European Charter for Researchers and the Code of Conduct for Recruitment of Researchers (https://euraxess.ec.europa.eu/jobs/charter/european-charter). 8) other documents/titles deemed useful for the application. Each single attachment has to be attached in .pdf format. The applicant may apply for one or more research project, sending one application for each selected project. The ideal candidate should have a Master in Computer Science or Biomedical Engineering, with a taste for deep/machine learning and modern software programming. Enrol in a PhD by research programme and carry out the research and training activities specified by a personal career development plan (PCDP). Conduct research in the following topical areas: skeletal development and integrity, nutrition, environment, bone cell culture, molecular tools and methods, artificial intelligence, supervised learning, socio-economic studies. · Undertake mandatory training programs and secondments as required at the facilities of other consortium members such as Italy, Norway, France, Portugal, Belgium, Spain, Germany, and the United States. Actively participate in PhD training activities and submit a thesis in fulfilment of the requirements of a PhD degree. · Participate in outreach and dissemination activities promoting the BioMedaqu project and the Marie Skłodowska-Curie Actions (MSCA) programme including the use of social media, video-diaries, newsletters, etc. · Work closely with academic and industrial collaborators and facilitate knowledge transfer between the BioMedaqu consortium. · As a MSCA ITN Ambassador carry out undergraduate supervision/demonstrating/teaching duties under supervisor direction and according to university regulations. Carry out routine administrative duties as requested, e.g. arranging research programme group meetings, maintaining research programme group website, contributing to organisation of BioMedaqu project training workshops and events.